Having studied Law in Italy, Giulia moved to the UK and obtained and English Law degree at Kent University. She moved to London in 2006 and obtained a distinction in her LPC at the College of Law. She then went on to work as a Corporate Client Paralegal at Freshfields Bruckhaus Deringer before joining LXL in April 2008. She has completed her training contract at LXL and is now a fully qualified solicitor in England and Wales. 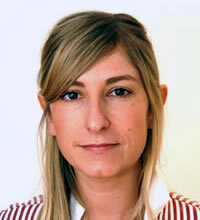 Giulia has been assisting on a number of energy-related projects in Europe, Asia, Africa as well as the UK. She has worked on a range of transactional matters, such as the sale and acquisition of oil and gas assets internationally and the negotiation of a number of gas and LNG sale and purchase agreements. She has also experience in international dispute resolution matters (with a particular focus on international arbitration), having worked on a number of oil and gas as well as power-related disputes. Giulia has also assisted a UK gas trading entity in its day-to-day management of operations at the Dragon LNG Terminal, working alongside their commercial and operational teams. Giulia speaks fluent English and Italian.